We are happy to announce that Jennifer Racciatti joined the HLAS Administrative/Finance Team as Controller on Monday, October 23, 2017. Jennifer graduated from SUNY Buffalo with a Bachelor of Science Degree in Business Administration with concentrations in Accounting and Finance and a Bachelor of Arts in Psychology in May 2006. 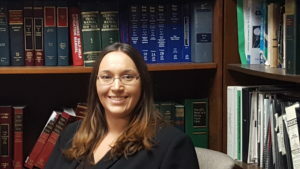 Most recently, she worked with the Bonadio Group as an auditor for nonprofits, employee benefit plans and governmental agencies. She will report to President & CEO Linda Gehron and take over former Director of Finance and Benefits, Kari Cotter’s, responsibilities. She will be assisted by our Staff Accountant Britani Sims and guided by Kari Cotter, who will telecommute part-time during a transition period. We are very lucky to have the assistance of such a strong Finance Team!